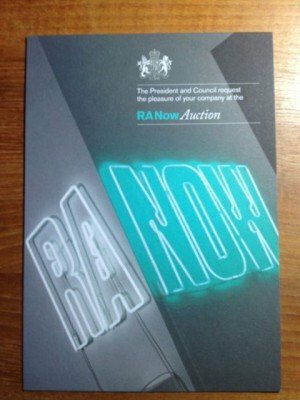 The president and Council of the Royal Academy sent me a posh invitation the other week, requesting the pleasure of my company today at the “RA Now Auction”, starting at 11.30 a.m. with a champagne brunch at Sotheby’s. How swanky is that? The paintings to be auctioned were from top-dollar Royal Academicians and Honorary Royal Academicians, including the likes of David Hockney, Barbara Rae, Anish Kapoor and Zaha Hadid. Some of my favourite artists and architects. It was bound to attract a huge crowd. Much to my disappointment, however, I was unable to accept as I had a prior work engagement. Buying art online from relatively unknown artists is more my line. You can make their day by sending 30-50 dollars for a small piece. 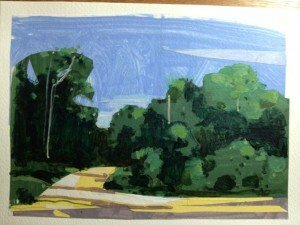 One such artist that caught my eye first on Flickr was Harry Stooshinoff – I ended up buying some of his work on a site called etsy. The web is flooded now with such online art sites. Virtual hanging of one’s portfolio on a website, like Flickr, is what any savvy art student or amateur artist does as de rigueur. The trick is deciding which images of your work to upload, how many to include and where to place them on the page; always thinking of how to capture the eye and short attention span of the online viewer (it is so easy to flick through the myriads of art streams). Then you need to know how to promote and push yourself without being too in your face or shameless. How often do you tweet or Facebook your latest? Which people do you email or text personally? How many other like-minded artists do you click on to show your appreciation in the hope they will reciprocate and increase your popularity in the likes and stars leagues? The nuances and etiquette of self-promotion online are for just evolving. One cool site I visited has turned homemade art into a merchandise business. Society6.com lets you frame your work as prints, or on t-shirts, hoodies, iPhone cases, tote bags, skins and cards – all at very affordable prices. You make it look good by selecting the right colour backgrounds, and you never know, you might just nudge someone into buying one. 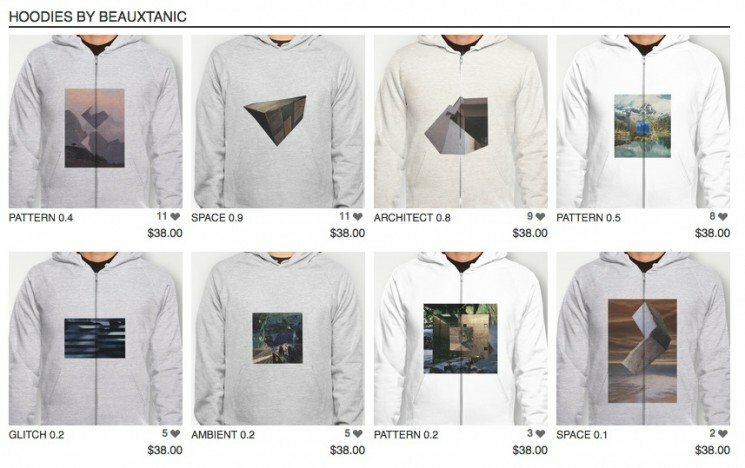 R, with tag name Beauxtanic, has just put his up for sale in a variety of styles (see below for the hoodie collection). If your work starts selling, it might just transform into hot cakes, and then one day you may reach the giddy heights of Andy Warhol mass production status. Or your throw of the die may mean that it is only your mum that buys your mug for Christmas. Personalized mugs, t-shirts, key-rings, etc., have been around for a long time. People send a photo to a company who then prints it on the artifact of their choice. Society6’s business model does the same but you send in your art. A possible outcome is that potentially anyone can suddenly become popular through viral t-shirts. Instead of the ironic slogan t-shirts that are currently fashionable wouldn’t the world be a different place if you suddenly saw someone walking about town wearing a t-shirt with a painting your boy has created. If only buying and displaying art in this way would take off – the world would be a lot brighter! Meanwhile endorsing people on Linkedin seems all the rage. I keep getting emails from people I’ve not heard from for a long time saying they have endorsed me for my skills and expertise. Yikes! Am I supposed to reciprocate?